Melissa Whited specializes in issues related to utility regulation and rate design, particularly in response to fundamental changes in the electricity industry spurred by declining energy use and rapidly increasing penetration of distributed energy resources. Ms. Whited consults on the tools to effectively address these changes, including performance-based regulation, revenue decoupling mechanisms, distribution system planning, and innovative rate design. Ms. Whited has testified before the Rhode Island Public Utilities Commission, the Massachusetts Department of Public Utilities, the Hawaii Public Utilities Commission, the Public Service Commission of Utah, the Public Utility Commission of Texas, the Virginia State Corporation Commission, and the Federal Energy Regulatory Commission. In the rate design arena, Ms. Whited's work focuses on the development of rate designs that effectively balance the fundamental principles of revenue sufficiency, fair apportionment of costs, and efficiency of use. She has authored numerous reports and testimony regarding the impacts of fixed charges and demand charges on low‐income customers, customers with distributed generation, and the ability of states to achieve their energy policy goals. Recently, Ms. Whited’s work has focused on the use of time-varying rates and strategic electrification. This work includes rate designs for electric vehicles, and California’s default time-of-use rates for residential customers. 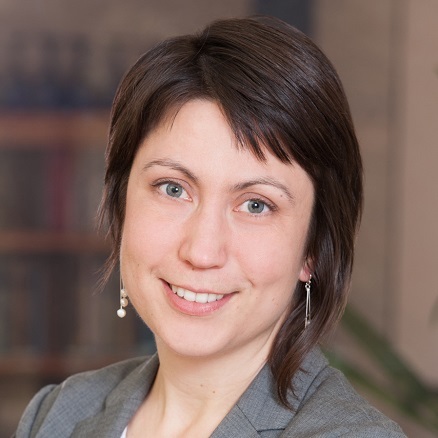 In 2015, Ms. Whited led the development of a handbook for regulators on utility performance incentive mechanisms, which describes best practices in mechanism design and how such mechanisms can help utilities transition to alternative business models. In addition, Ms. Whited has provided consulting services regarding the incorporation of distributed energy resources in utility planning processes in New York's "Reforming the Energy Vision” proceeding. Ms. Whited holds two master’s degrees from the University of Wisconsin: an MA in Agricultural and Applied Economics and an MS in Environment and Resources.